I’ve seen a few radial engines installed into bikes, these are usually custom builds using a large aircraft derived engine, but this was a production bike in 1921. 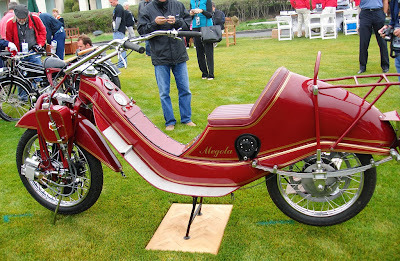 What makes it even more interesting and unusual is the fact the engine is mounted to the front wheel. That engine was a 5cylinder, star shape single valve Monosoupape radial engine with a combined displacement of 640cc’s, producing 14bhp. It drove the front wheel direct through a single down gearing of 6 to 1, which meant it didn’t need a clutch but did mean a top speed of 52mph which was fast enough to take a win at the German Championship in 1924. 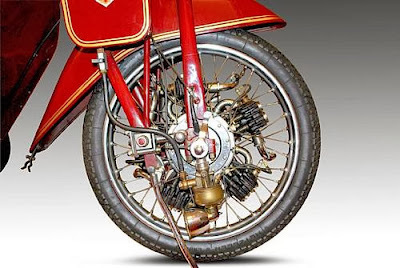 Unlike an aeroplane the engine spins with the wheel, meaning the crank remains stationary. 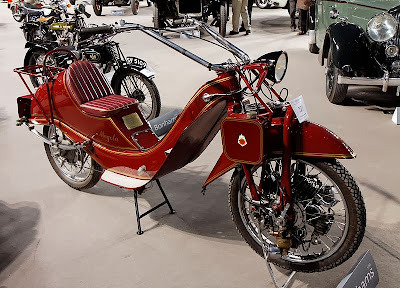 The simplicity of the design meant that like a plane all that was needed was to spin the front wheel and therefore engine, either on its stand or by pushing to fire it up. 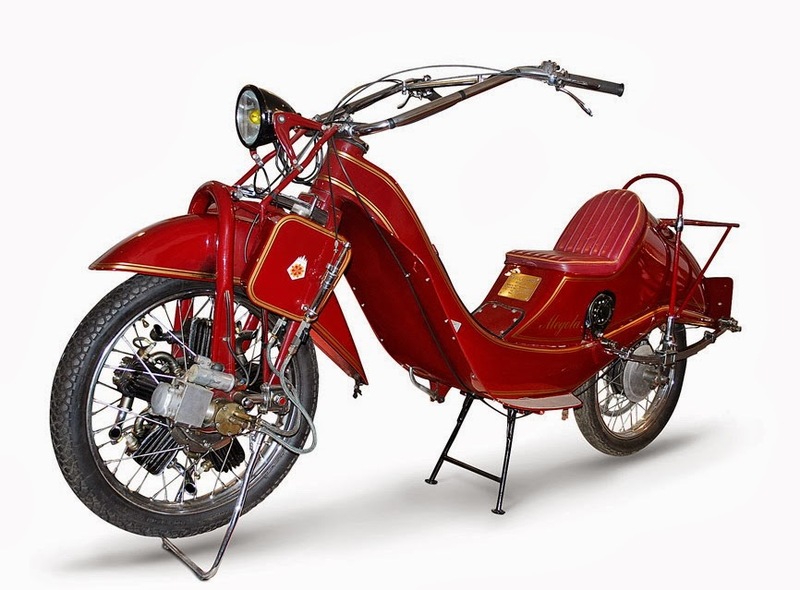 It could also be stripped down for maintenance without removing the wheel. 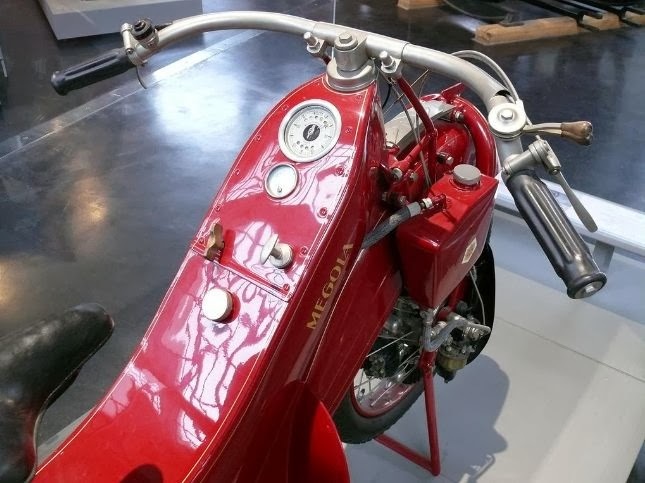 Another innovative design feature of the front wheel was the tyre, its inner tube was a sausage shape rather than a donut so it could be removed without removing the engine and wheel assembly. 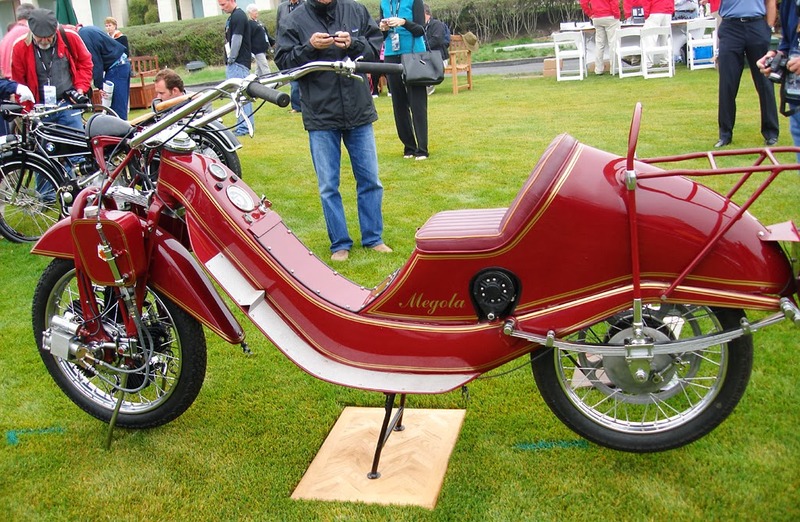 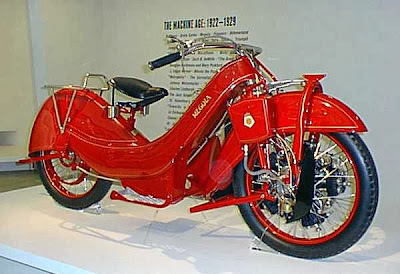 With the engine not being in the conventional position it allowed for a more flowing shape which gives more of a scooter seated position, with the main fuel tank being included in its shape that fed a secondary tank above the engine. 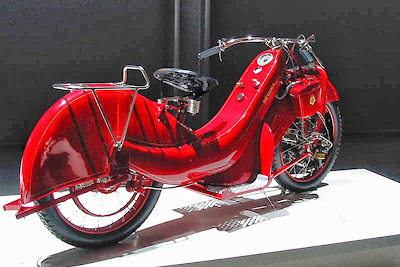 By 1925 production stopped some 2000 examples were built in Munich but it’s thought that only 10 ridable examples remain making this both unusual and very rare.